The Land Rover Defender and Mercedes Gelandewagen (G-Class) are the epitome of true off-road vehicles. The Land Rover Defender has been one of my favourite SUVs ever since I was young because of its utilitarian look and a go anywhere attitude, it isn’t as luxurious as the Gelandewagen but German tuners STARTECH (subsidiary of Brabus) took care of that with the Land Rover Defender 90 Yachting Edition, which will be showcased at the Essen Motor Show in Germany. 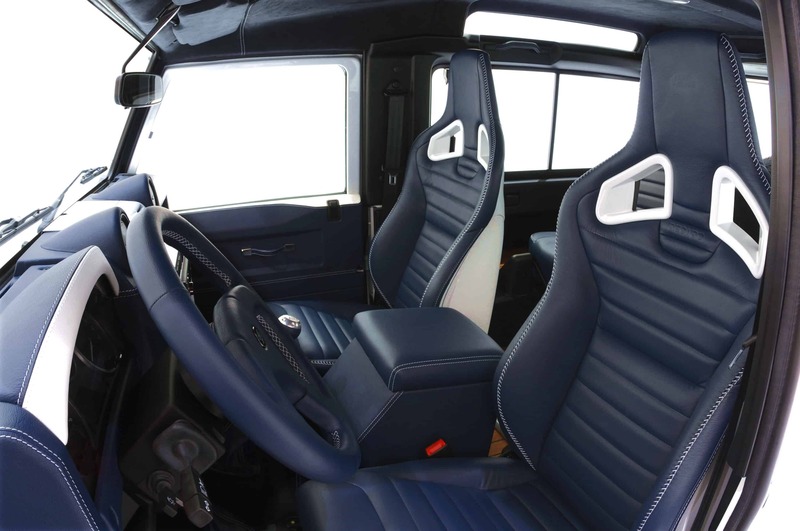 As the name would suggest, the Defender is based on luxury yachts, which can be seen on the luxurious interior that features premium navy blue leather on the seats and the dashboard with contrasting baseball style cross stitching on the sporty Recaro bucket seats for the driver and front passenger. 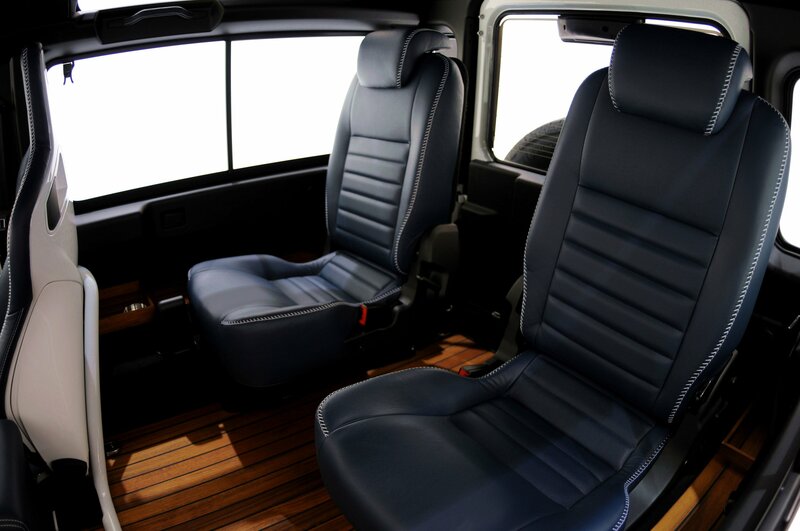 The headliner is covered with blue Alcantara and the floors feature yacht-styled luxurious wood panels. 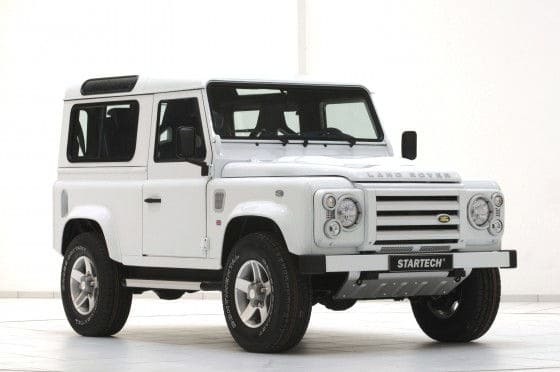 There is enough luxury in this Defender that it could easily be mistaken for a Range Rover. 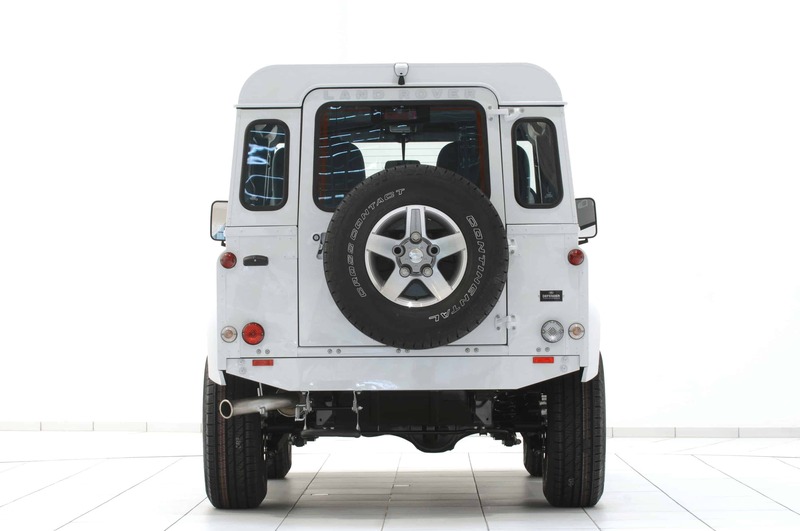 The Land Rover Defender 90 Yachting Edition comes with a bright white exterior paint and rides on light weight 5-spoke aluminum wheels with massive 265/75 R16 tires. 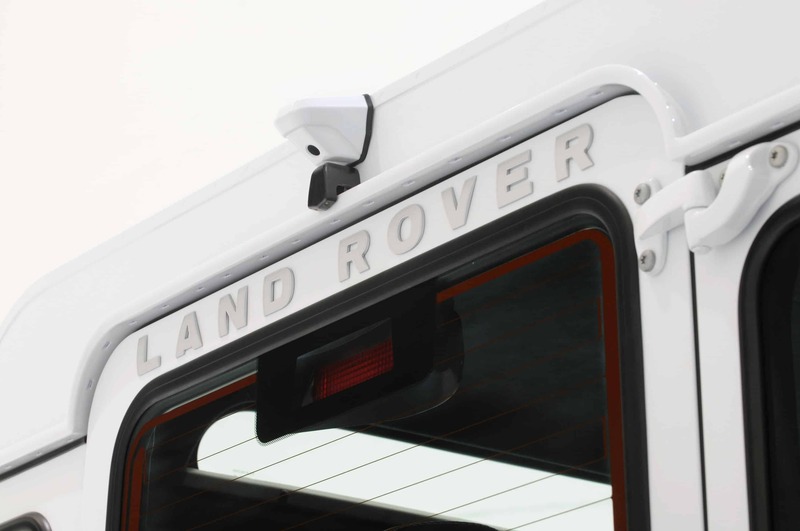 The Defender also comes with an SVX front grill and body color finish on the light covers. 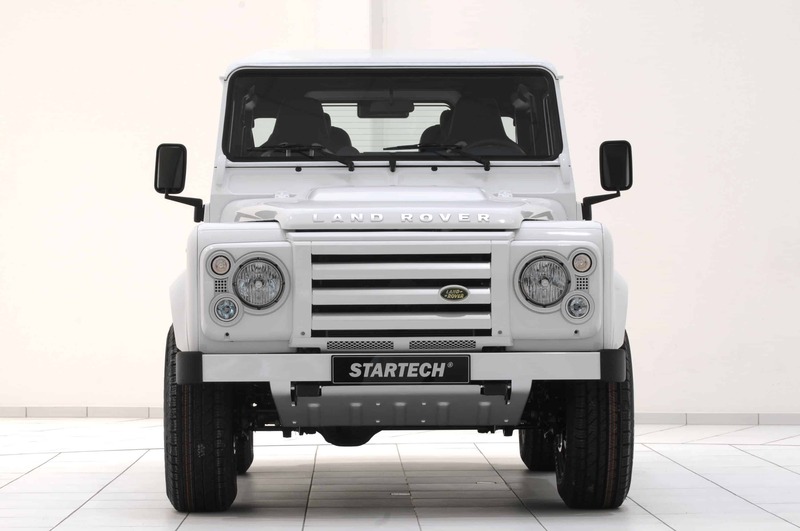 Prices on the STARTECH Land Rover Defender 90 Yachting Edition haven’t been released yet but I’m guessing it to be around the $100,000 mark. It may seem like a lot but this is a beautiful vehicle that looks like nothing else on or off the road and announces to the world that not only you have money but you also have great taste. I wouldn’t mind parking one of these bad boys in my garage. Wow, just as beautiful as the Merc G-Wagon. 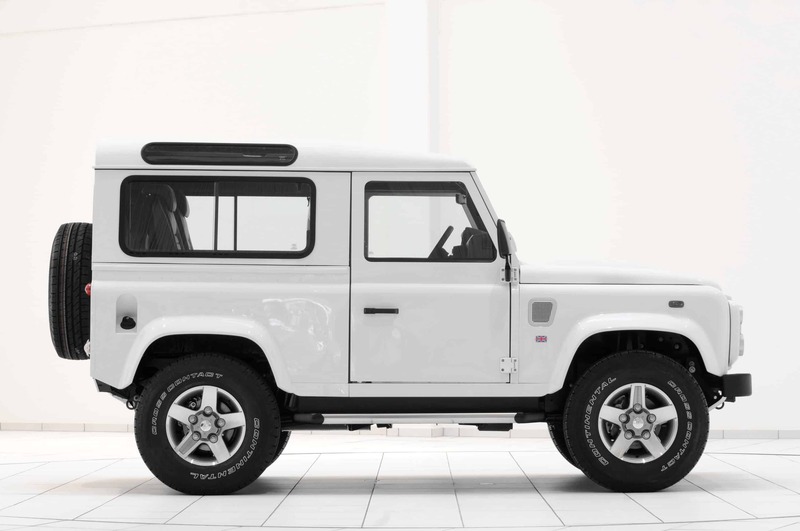 The Defender is for sale in almost every country but the US and Canada…so stupid. A fine example of how it has a timeless design and looks badass regardless of the time period. Actually this Startech Defender Yacht is available around 77K excludes shipping and taxes. very beautiful but still does what it was built to do. It is an awesome vehicle but a pig on gas. If I can find a 2-door diesel version here, I’d be all over it. My family has had several Range Rovers, but that hardwood floor seems TOO over the top. 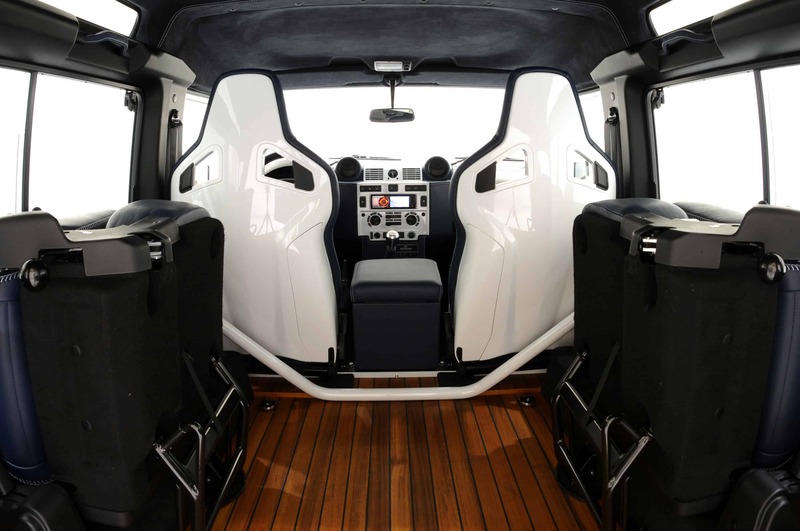 A lot of people are put off by the wood floors but the defender is designed to mimic a yacht, so I guess they thought it necessary to put in the wood floors. 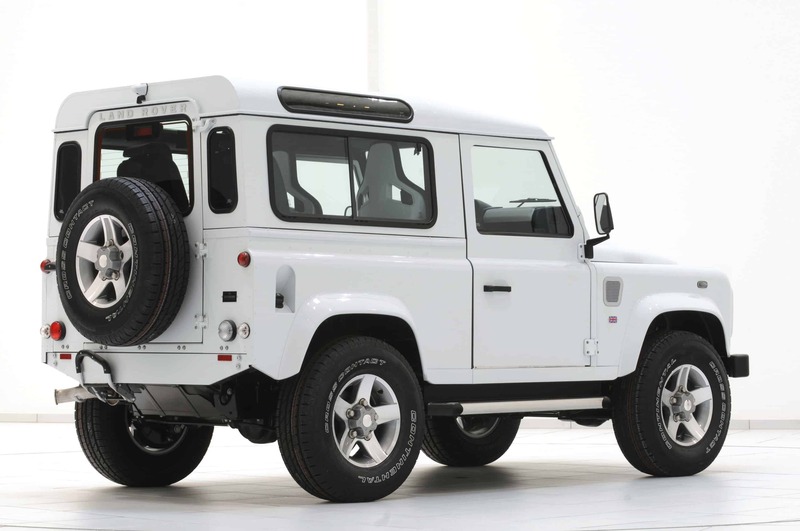 I am on the boat with you guys/girls … I totally love what they’ve with this defender. The floors can stay for sure. Always like to look at what high end over hauling companies do to classics like the Defender or the Series II. This one takes the cake and drinks for sure. 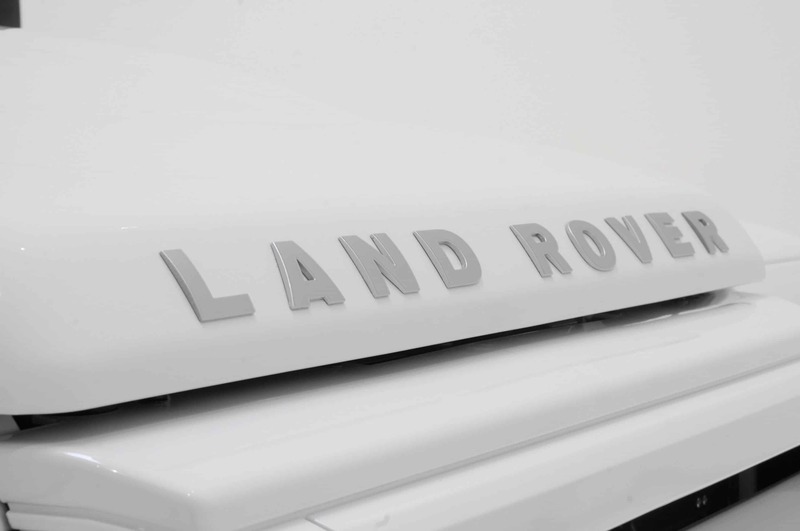 Land Rover has proven again that they are doing smart branding. I mean that’s designed for their loving fans. 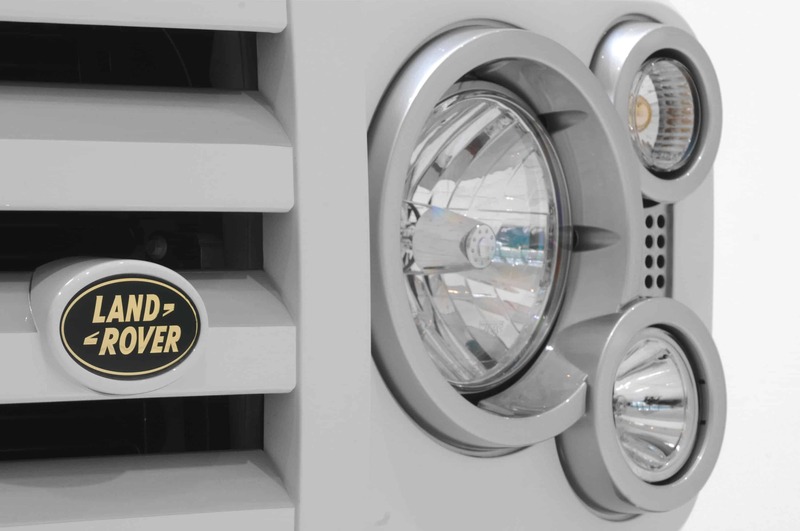 Big fans want exclusive and luxurious Land Rovers. They’ve got the Range and Disco. Why not the Defender. Here it is then. Anyway, great profit margin you’d make it on customized model, and this model is over all the expectations.